Superior Lithium Ion Batteries: High power, lightweight and fast charging batteries for custom mobile audio and video systems. 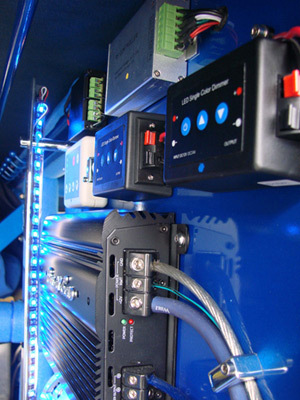 Lithionics Batteries allow you to replace TWO or more lead-acid batteries with ONE lithium ion battery. Lead Acid delivers stable Amperage, but not stable Voltage. Our Lithium ion Batteries deliver BOTH stable Voltage AND stable Amperage at the same time. 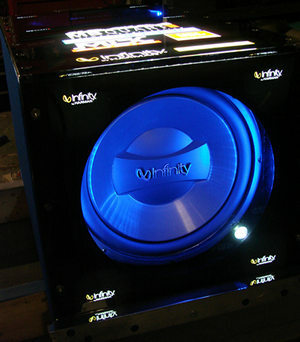 This means your stereo gear will operate much more accurately and will improve your vehicle's overall audio sound. lighting perform like never before! which can be combined in Series or Parallel to make a larger battery bank. 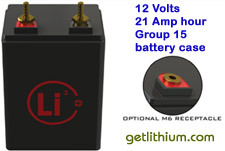 and our Small Energy Storage Battery/ Custom Build Lithium ion Battery page. 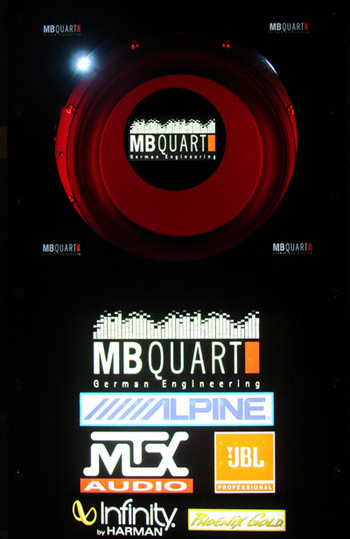 Lithium ion batteries are superior for big power mobile audio and video systems with multiple amplifiers, big subwoofers and computerized LED lighting systems. Lithionics Battery provides you with a product that's perfect for modern, accessory-loaded vehicles with unparalleled cycling capability. Our Lithium ion line easily bounces back from large power drains to full capacity, so you can properly power plenty of electronics while letting you get the start you need time after time. That means more running time and up to 3 times the recharging speed than what you'd get out of a traditional battery. 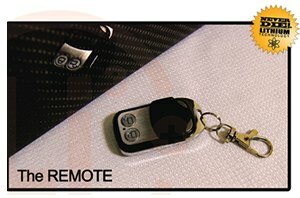 Our solution is perfect for vehicles with onboard electronics, stereo systems and RV's with "creature comforts" that traditionally drain batteries quickly. Not only that, but our product provides a substantial weight savings as well as outstanding vibration resistance. That means you'll spend less time worrying about your battery and more time having fun! All Lithionics Batteries can also be built with our unique NEVERDIE system option available at extra cost. There you can find out about Frequently Asked Questions and all the advantages of using our Lithium ion Batteries from Lithionics Battery, as well as determine what battery will replace your existing lead-acid battery. Lithium ion batteries for sale all across Canada including Toronto, Montreal, Calgary, Ottawa, Edmonton, Mississauga, Winnipeg, Vancouver, Brampton, Hamilton, Quebec City, Surrey, Langley, Laval, Halifax, London, Markham, Vaughan, Gatineau, Longeil, Burnaby, Saskatoon, Kitchener, Windsor, Regina, Richmond, Richmond Hill, Oakville, Burlington, Sudbury, Sherbrooke, Oshawa, Barrie, Kingston, Cambridge, Coquitlam, Whitby, Guelph, Kelowna, Saanich, Victoria, Nanaimo, Thunder Bay, St. John's, Red Deer, Kamloops, Fort MacMurray, Fredericton, Grande Prairie, North Bay, Whistler, Prince George, Pickering, North Vancouver, Aurora, Shawinigan, Moncton, Saint John, Lethbridge & more.